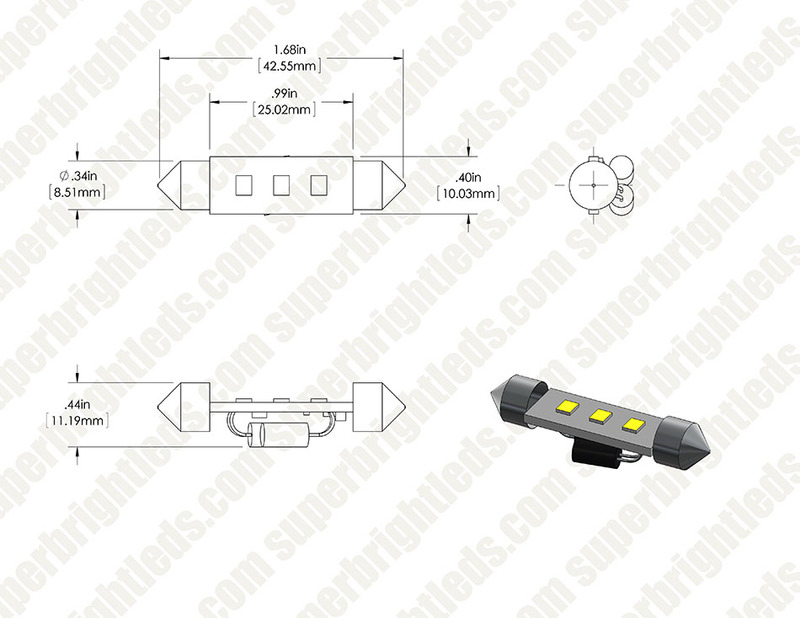 6451 LED Bulb - 3 SMD LED Festoon: Shown In Overhead Car Interior Light Fixtures. 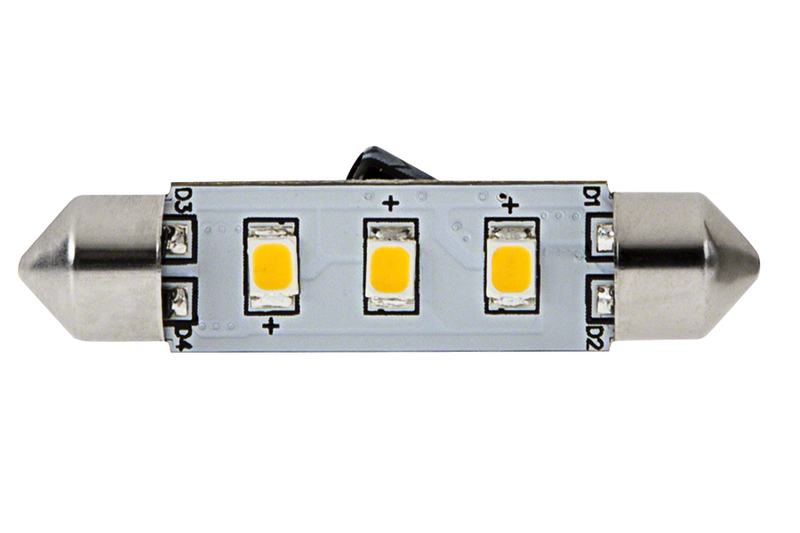 6451 LED Bulb - 3 SMD LED Festoon: Shown In Overhead Dome And In Trunk Lighting. 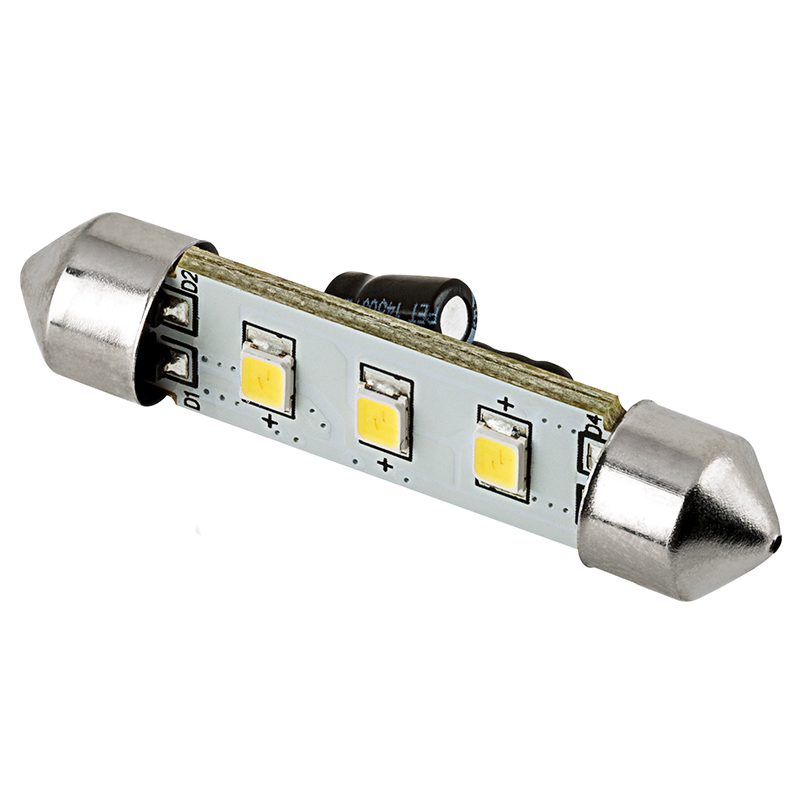 6451 LED Bulb - 3 SMD LED Festoon: Shown In Car Footwells And Glove Box. 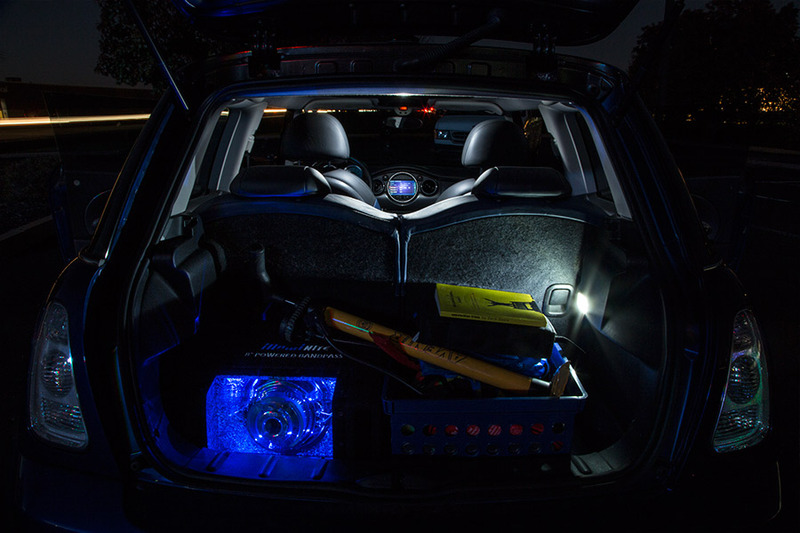 LED replacement bulbs can fit numerous vehicle applications such as vanity lights, map lights, footwell lights and trunk lights. 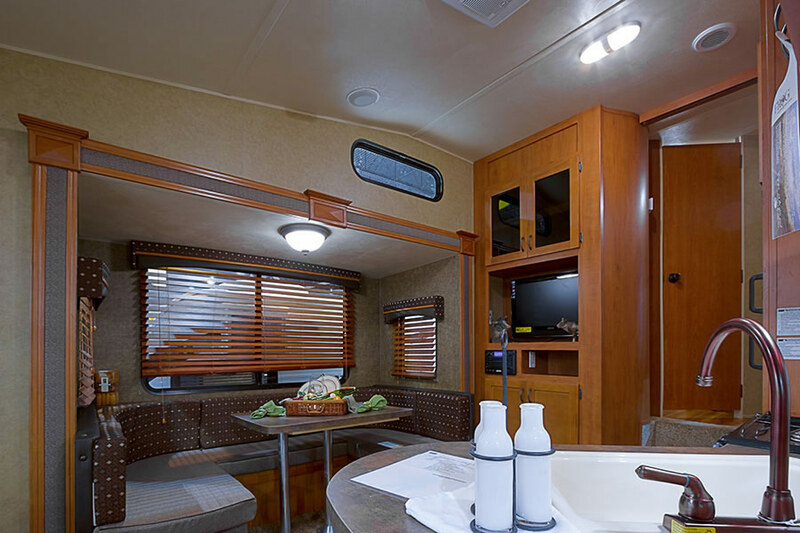 This 4210 LED festoon bulb replaces a variety of traditional bulbs including 4210 and 6451 bulbs. 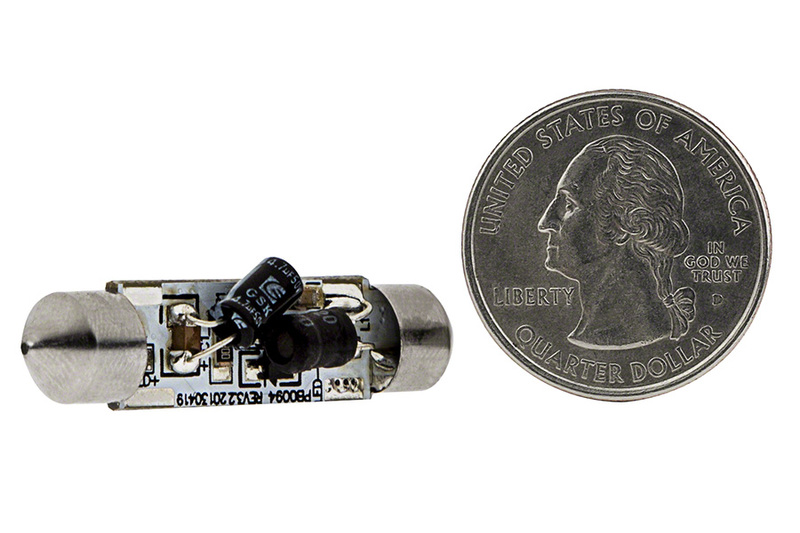 The 42-mm bulb has 3 enhanced LEDs (2835 SMD) on a rectangular PCB (printed circuit board). 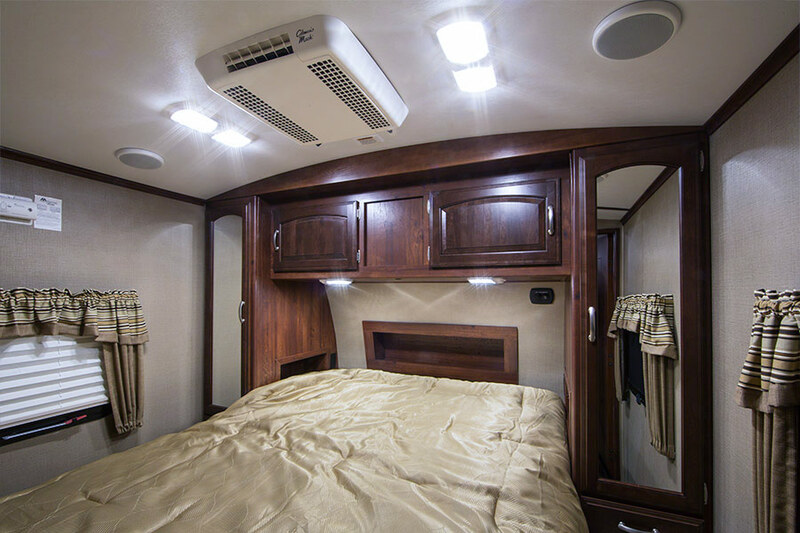 LEDs and are mounted to one side of the board for direct 120° illumination with no wasted light. 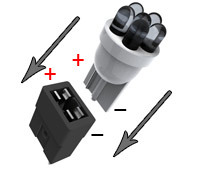 Festoon base for easy plug-and-play installation. 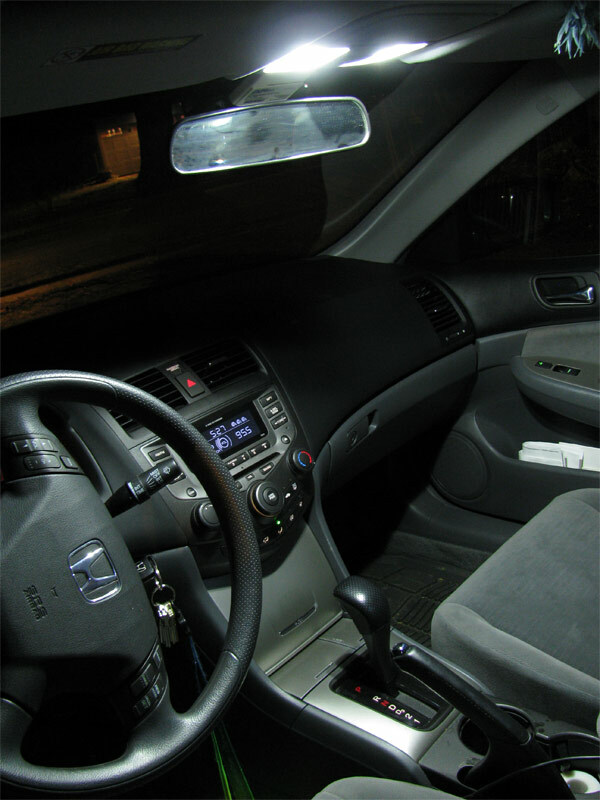 The energy-efficient bulb operates within a wide 10-30V DC range and is designed to last 50,000 hours on your car, truck, SUV, or van—42 times longer than incandescent bulbs. Available in cool and warm white. Not sold in pairs. Price per bulb. 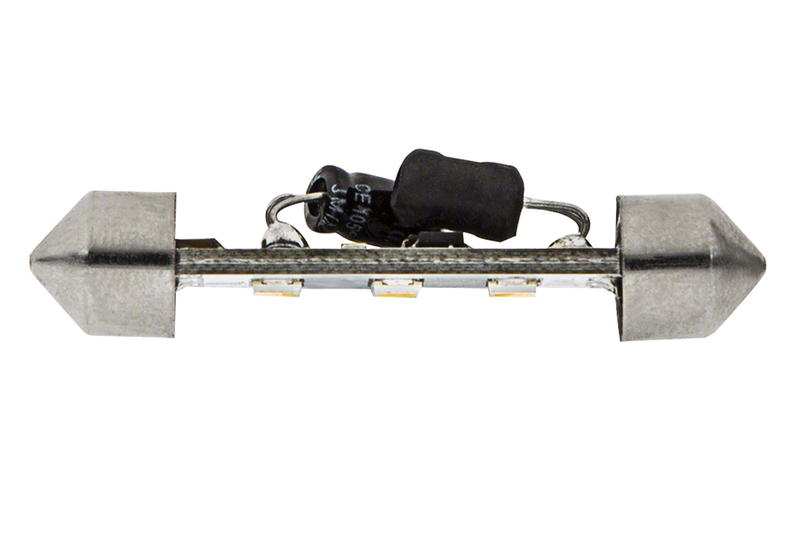 Diameter of bulb terminals on the 4 cabin domes in 02 Odyssey are too small for fixture clamps. Requires either bending clamps or manufacturing collars for the terminals. I made collars from small hobby grade brass strips for the bulb terminals. Not a solution I'd recommend for everyone, but the result was satisfying. Plenty of interior light now with little chance of draining battery if accidentally left on. Honda accord takes a 38mm not a 42mm, was able to make it work after bending metal. Like the other owner, we have a 2004 Honday Odyssey. this bulb was listed as one of the correct replacement bulbs, but it is too small to fit snuggly in the clips in our vehicle for the interior dome lights. It's extremely loose in the clips, so it moves around as you drive. 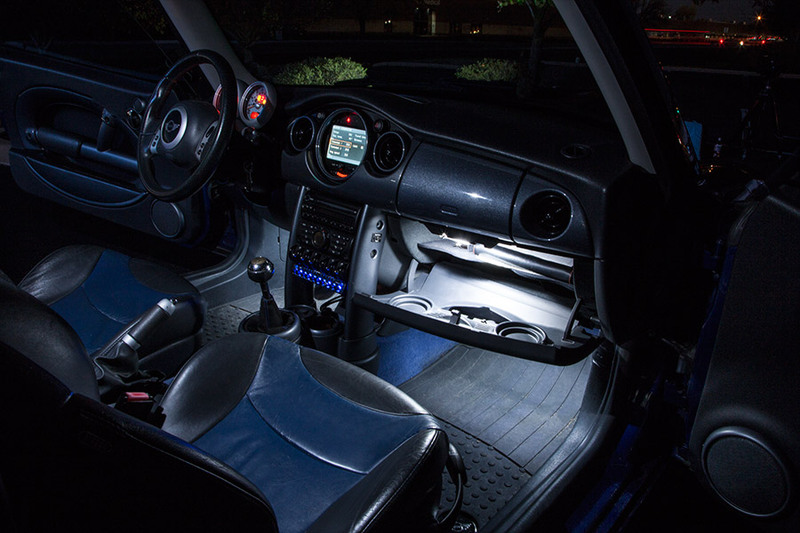 It turns or rotates in the clips so it doesn't always stay in place with the LEDs shining down, it can move to where the LEDs are not facing out at all. And it's so loose that it doesn't always make an electrical connection and the light can flash or not come on sometimes. very good illumination output. 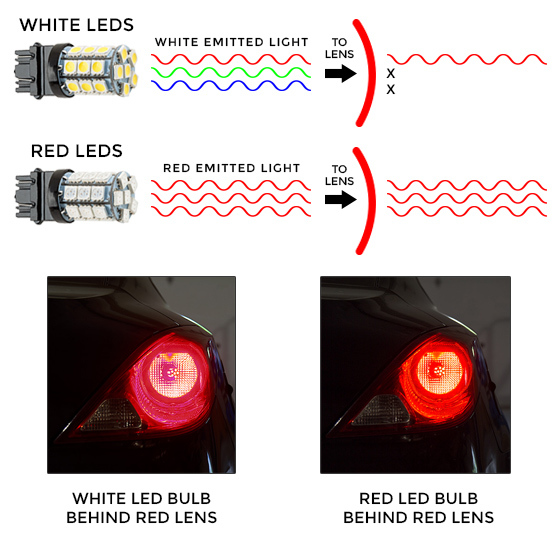 slightly longer than stock which required some minor modification to bulb mounts, also required orienting LED's to prevent partial shading by housing. Overall very good!